At the end of each year, Google does a round-up of the top online search trends it captures each month. Based on that information, it’s worth taking a look at the diets that are resonating with people and trying to decode the multitude of websites that discuss them. Most sites are hoping to capture an ongoing share of internet and social media traffic, but there are a lot of myths online about health. Here are a few tips on what to look for when reviewing any health site. And keep in mind that I could not reliably verify much of the information about the diets listed below (other than Dr. Phil’s brand-new book). Finally, I’m not convinced that any of them will attain sustained long-term weight loss. · Contact Information: Make sure it is accurate and detailed. · Who Wrote It: What is the background of the writer? Is his or her identity clear? Is he or she named? · Who owns the site? Hospital, non-for profit (if so, who provides the funding), corporation (if so, what’s their background). · Affiliation: Is the site affiliated with a product or service? If it is, the information provided may not necessarily be accurate. · How current is the information on the Web site? When was it last updated? · Are there advertisements? What’s the ad policy of the site owner? · What is the Web site’s purpose? Is it educational? Is it trying to sell a product? · Is there scientific evidence for medical statements? Links to scholarly journals? · Is the material dated? Is it current? What is it: A diet book by Dr. Phil McGraw. How it supposedly works: There are 20 required foods that your body will break down to use for energy and that will potentially keep you fuller longer. What you eat: The foods: cod, eggs, coconut oil, olive oil, green tea, mustard, almonds, apples, dried plums, prunes, whey protein, leafy greens, chickpeas, tofu, walnuts, lentils, peanut butter (natural), pistachios, raisins, non-fat yogurt and rye. Eat 4 times per day, including protein, produce, fat, and starch (carbs) in each meal. You can indulge in one or two reasonable splurges per week. Avoid: processed foods, non-white whole grains (e.g., rice, pasta, bread, and cake), sugar, artificial sweeteners, red meat, full-fat dairy and alcohol. The book also discusses changing behavioral patterns. Why it’s trending/ searched: It’s probably working. It sounds like lots of other diets, but Dr. Phil (like him or not) is a good marketer, and part of selling any diet is packaging. What is it: You alternate low-carb and high-carb days to burn fat and fast-track weight loss. 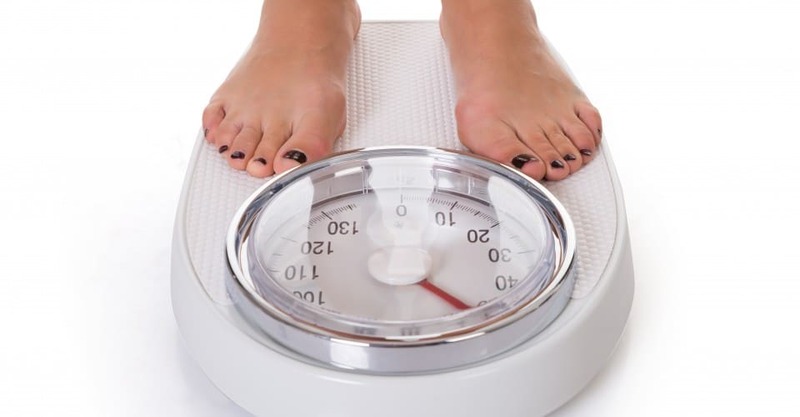 The idea is that insulin levels will be low on no- or low-carb days so that you will burn fat. What you do: You create a schedule of no- or low-carb days and then throw in a couple of high-carb days to keep your metabolism moving. Your high carb days should be when you are doing strenuous workouts. 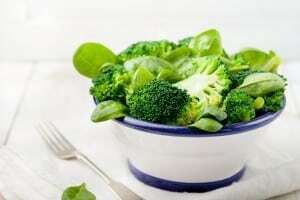 What you eat: On low-carb days you eat high fiber veggies, such as cauliflower, broccoli and asparagus. You avoid starchy carbs such as potatoes, white rice, cereal, and bread. On high-carb days you can eat high quality carbs such as brown rice, oatmeal, fruit, sweet potatoes and more green veggies. On this diet you can also have lean protein and fat. Why it’s trending/ searched: The diet has a good track record in the bodybuilding community. What is it: Close to a low-carb diet, with exceptions. How it supposedly works: You eat more like your ancestors did during the Paleolithic era. Why it’s trending/ searched: It seems to work for people and it’s easy to “get” it. What is it: The General Motors Diet – yes the car company. It’s a seven-day quickie weight-loss scheme. Supposedly it was started by General Motors for their employees, and was developed “in conjunction with a grant from the U.S. Department of Agriculture and the Food and Drug Administration. It was field tested at the Johns Hopkins Research Center.” However, according to a General Motors spokesperson (as reported in the New York Times) this is an urban myth. The spokesperson thought there was an outside chance the diet had some connection to a former head of purchasing named, Jose Ignacio Lopez De Arriortua, who ate a lot of fruits and lean meats, but there is no confirmation of this. What do you eat: During the seven days you drink 6-12 glasses of water per day. On the first day you eat only fruit (melon is key); the second day you eat veggies only; the third day you eat fruit and veggies (no potatoes); and on the fourth day you eat lots of bananas – up to eight­and drink 3 glasses of non-fat milk. (You can also have one bowl of vegetable soup); day five is beef and tomatoes (or, according to some other sources,1 cup of rice, 6 tomatoes and 12 glasses of water); day six it’s beef and veggies (or, according to other sources, veggies alone), and on day seven you eat brown rice, veggies and fruit juice. Why it’s trending/ searched: I searched and searched for a particular reason why this diet was trending but found no clues. My guess is that quick weight loss and detox diets seem to resonate with people, and social media are kicking it out of the park. What is it: The term “military” says a lot. It’s a three-day very restrictive diet. How it supposedly works: Calories are extremely limited for a period of three days. What do you eat: Coffee, grapefruit, toast with peanut butter, tuna, meat, apple, green beans, egg, cup cottage cheese, saltines, hot dogs (without bun), broccoli, carrots, banana, vanilla ice cream, cheddar cheese. These are the particular foods you eat for the three days of the diet. For specific menus and quantities allowed each day go to http://themilitarydiet.com/wp-content/uploads/2013/01/Military-Diet-Plan.pdf . Why it’s trending/ searched: Social media has latched on to this one.